These days, when we celebrate Halloween, what often comes to mind are kooky costumes, scary decoration, and lots of sweets. However, there’s so much more history to this holiday than many realise. The very name “Halloween” comes from the old European celebration of All Hallows’ Eve, the eve of the Christian feast of All Hallows’ Day (also known as All Saint’s Day). During this festival, people celebrated the hallows (meaning saints, not magical objects!). People would eve dress up as saints and go door to door reciting songs, and asking for “soul cakes” – the origin of today’s Trick-or-Treating. Many other Halloween customs we follow today are also influenced by the ancient Gaelic festival of Samhain. Celebrated at the end of October to mark the changing of the seasons and the shortening of days, it involved connecting with the dead. People believed that the boundary between this world and the next was especially thin. Over time this evolved into a more light-hearted celebration, which travelled across the Atlantic with Irish and Scottish immigrants. By the 20th century, it has turned into the costume-wearing, pumpkin-carving, candy-eating holiday we all know and love. While it has a long and complicated history, many places celebrate Halloween in a vibrant and exciting fashion. 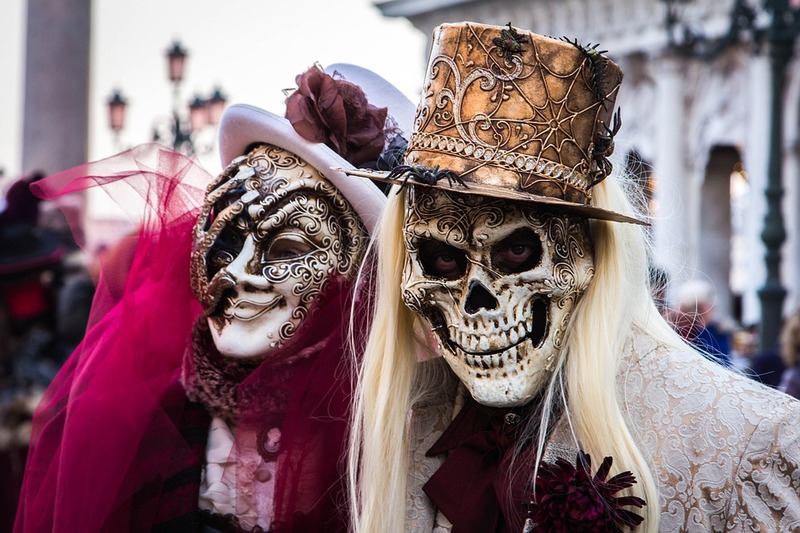 Here are some of the best places to celebrate Halloween around the world this year. 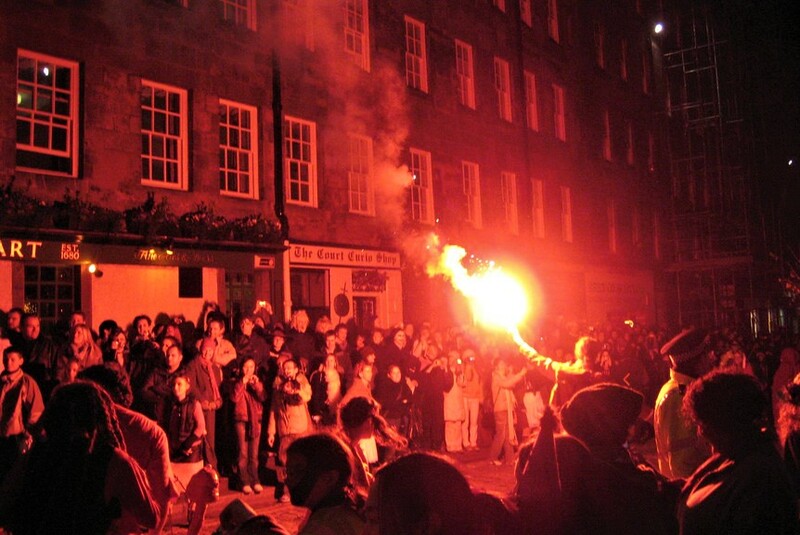 Halloween can trace back its origins to Celtic celebrations, such as Samhain. So, it’s no surprise that there the Irish celebrate Halloween in great style. Traditions often include fortune-telling, bonfires, eating fruitcakes, and, of course, dressing up. 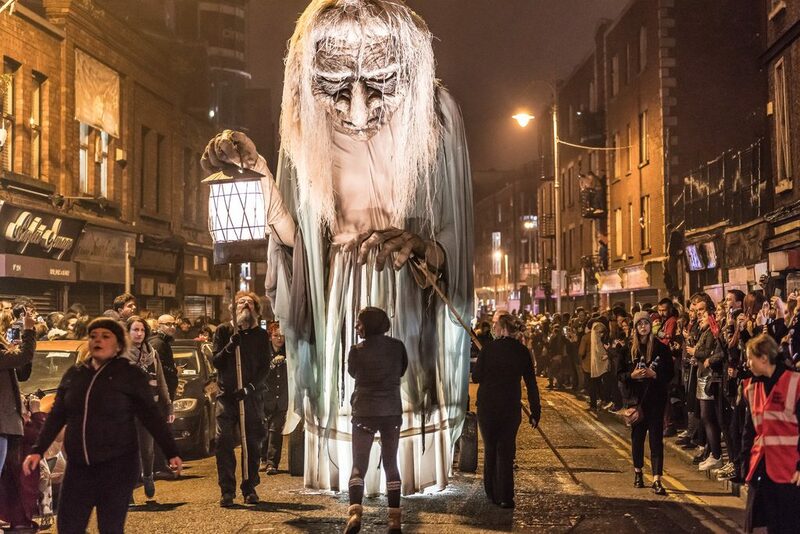 Ireland’s Derry City hosts the biggest Halloween festival in Europe, the Banks of Foyle Halloween Carnival. Here you can enjoy haunted houses, ghost tours parades, horror-story telling and much more. You can also check out the more relaxed Spirits of Meath festival in Meath, which features pumpkin carving contests. Much like Ireland, Scotland has Celtic roots and also had many traditions related to Samhain. 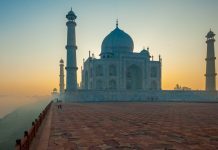 Even after the advent of Christianity, many of these customs remained. These include “guising,” where children go from door to door carrying lanterns made out of turnips in costumes for sweets or coins, as well as apple dunking, where you must retrieve an apple from a bucket of water using only your mouth. 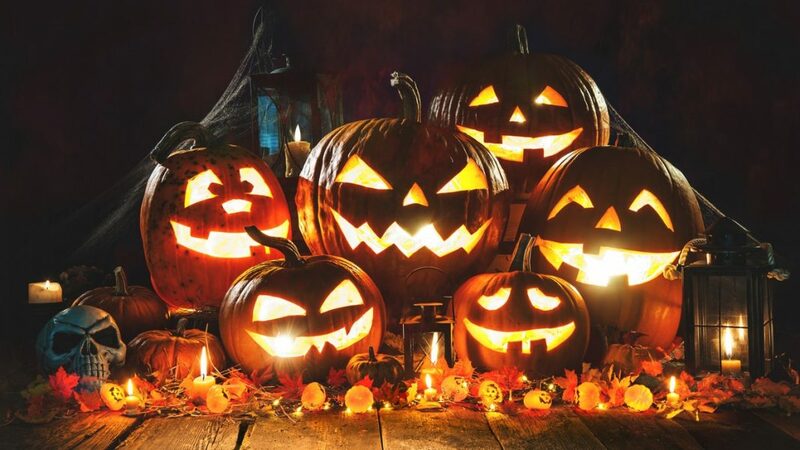 Halloween is such an integral part of Scottish culture that it has become the subject of many poems, most famously ‘Halloween’ by Robert Burns. According to him, Halloween is “thought to be a night when witches, devils, and other mischief-making beings are all abroad on their baneful midnight errands”. If you plan to visit Scotland this Halloween, make sure to check out Edinburgh’s Royal Mile with its creepy vaults, underground passages, and unsolved mysteries. 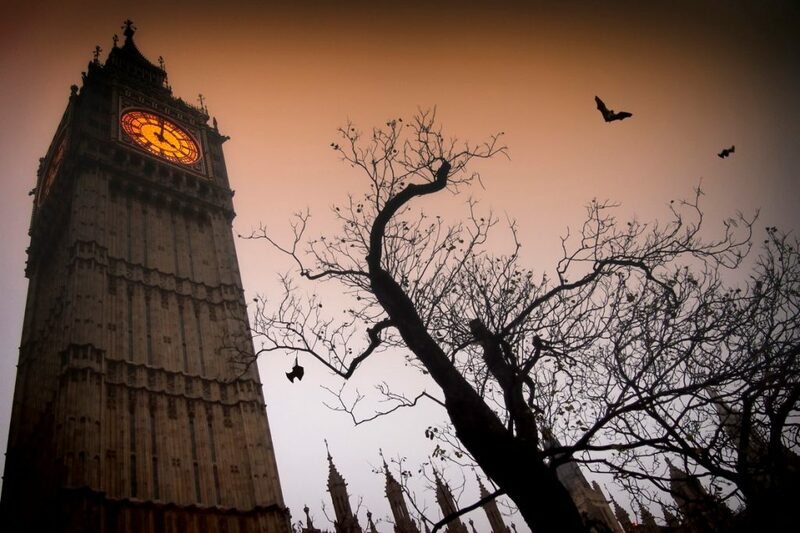 While England is full of spooky castles and haunted locations, London is the place to be to celebrate Halloween. With its many dark dungeons, ancient buildings, and ghostly attractions, Lonon puts on tons of festivities across the city for the occasion. One of the most popular are the London Dungeons, which are full of frights, and the Jack the Ripper Walk following the Victorian serial killer’s old haunts across East London. 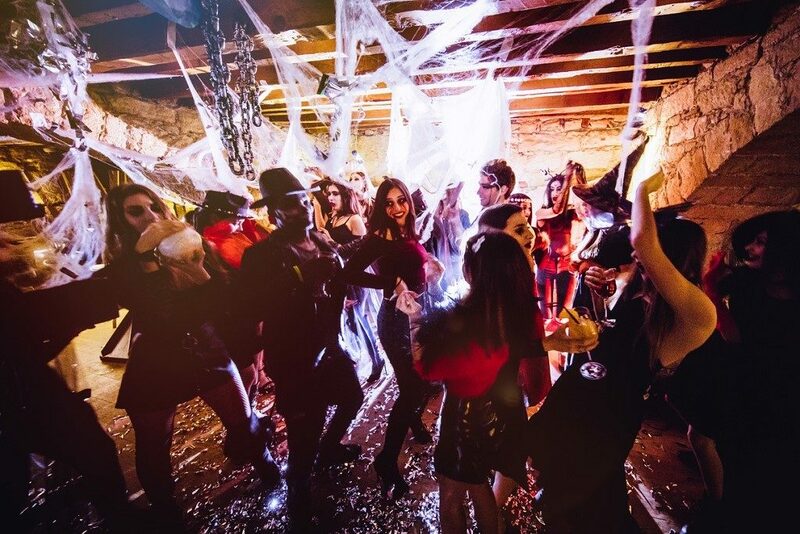 There are also numerous parties and events that take place, such as the horse-drawn rides in Richmond Park, the Camden Halloween Carnival, and much much more. Where better to celebrate Halloween that the home of the world’s most famous vampire, Count Dracula? 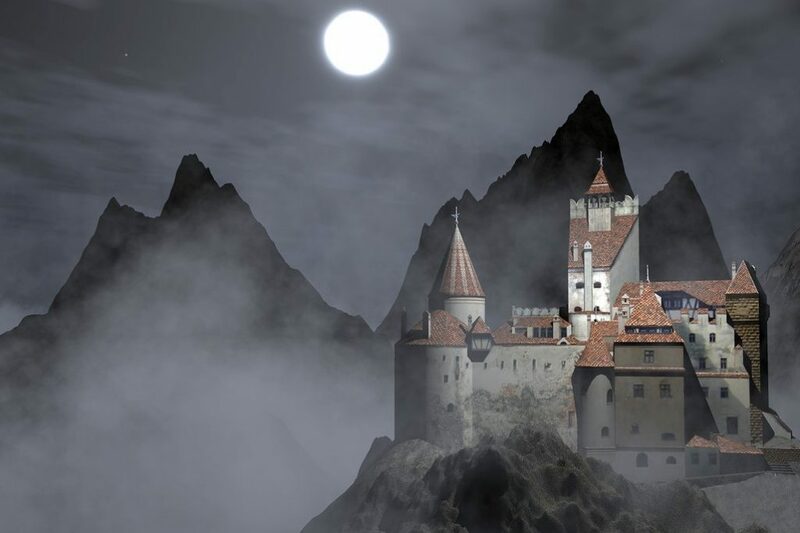 If you’re looking for a truly spooky Halloween you can join the hordes of tourists who flock to Transylvania to celebrate Halloween in the shadow of Bran Castle (the real Dracula’s Castle). Besides this, the beautiful region of Romania also offers various other spooky castles, and numerous events in the capital, Bucharest. Romanians also celebrate the “Day of the Dead” on 1 November, and the Feast of St. Andrew on 30 November which has many customs similar to the traditional All Hallow’s Eve. 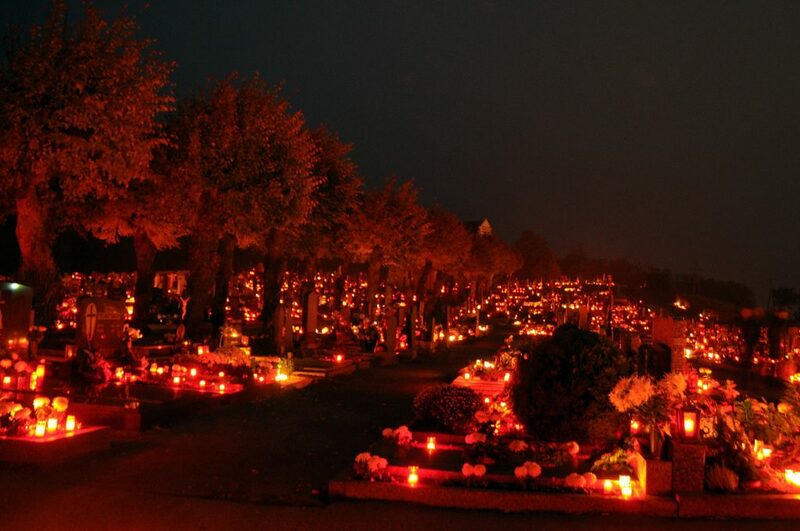 In Italy, All Saints’ Day (and the following All Souls’ Day) are a pretty big deal. While celebrations vary from region to region, one of the most popular is in Venice. Though it may seem like an unusual Halloween destination, its inhabitants celebrate the holiday by dressing up in costumes and visiting the many haunted islands around it. There are also often a number of spectacular masquerade balls in honour of the occasion. You can also visit Corinaldo, which calls itself the Italian Capital of Halloween. This town is full of spooky attractions and holds a fire festival each year on the evening of October 31. Prague is one of the most spectacular Gothic cities in Europe. Its stunning medieval architecture and winding lanes also give it a mysterious and slightly macabre allure. The town is filled with ghoulish local legends, haunted cemeteries, and even a Torture Museum, for fans of the scarier aspects of Halloween. Though the Czech Republic doesn’t traditionally celebrate Halloween in a big way, you can always find an exciting way to celebrate Halloween in Prague. Halloween has fast become a popular event across Belgium. While most towns hold festivals complete with spooky decor and costume parties, Brussels takes it to the next level. A city swimming pool is coloured red, transforming it into a “bloodbath,” and costumed children can swim about in the water. There are also various ghost tours and parties. 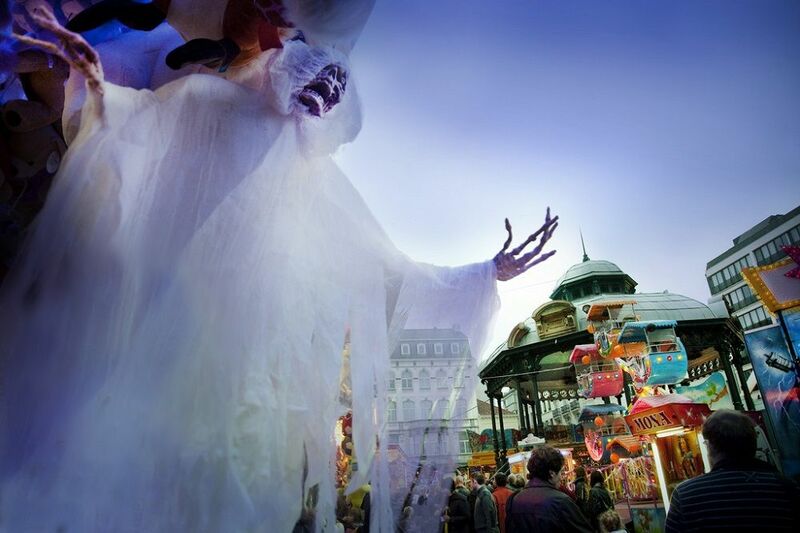 Another popular destination is Ostend, which hosts various ghoulish events, creepy costume parades, and much more, earning it the nickname “Belgium’s Halloween city”. Whether its a night of family-friendly fun or something more adult (such as thefetish extravaganza at Obscene Halloween), Amsterdam has something for everyone on Haloween. The city hosts some of the most creative costume parties as well as themed events in cafes, restaurants, clubs, and even museums. Visitors can also participate in ghost tours, music concerts, or all-night marathons of scary movies. If you can, stop at the legendary Monster Ball, or the Amsterdam Halloween Festival. In Mexico they celebrate Dia de los Meurtos, or the Day of the Dead, 2 November. It is believed that on this day, the spirits return to be together with their families. 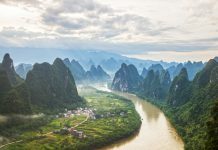 The festivities take place over three days (starting on 31 October) an include a series of elaborate rituals, as well as night-time carnival-like processions, street stalls, and candle-light vigils. Some of the best places to experience the celebrations are at Oaxaca, Mexico City, Mixquic, and surprisingly Los Angeles in the US. Considered one of the most haunted cities in America, New Orleans is full of spooky locations. With the city’s deep connection to the occult and penchant eccentric costumes make it the perfect Halloween destinations. There are various events and parties to enjoy across the season, including the famous Vampire Ball, the Voodoo Music Festival, and the Halloween Spooktacular Family concert. 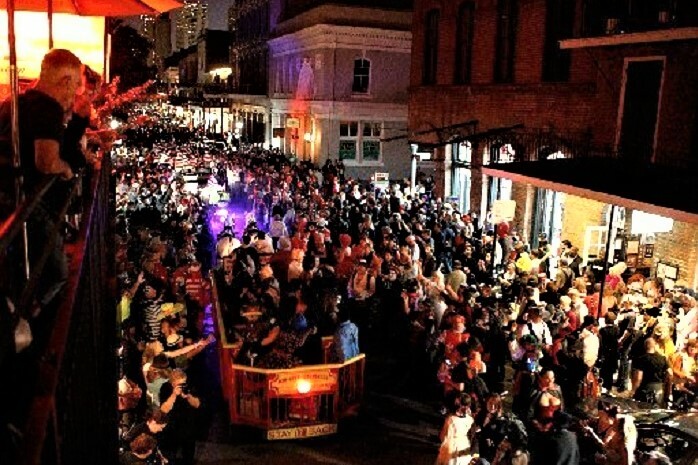 Don’t miss the parades on Bourbon Street. You can also take ghost tours of the historic French Quarter. 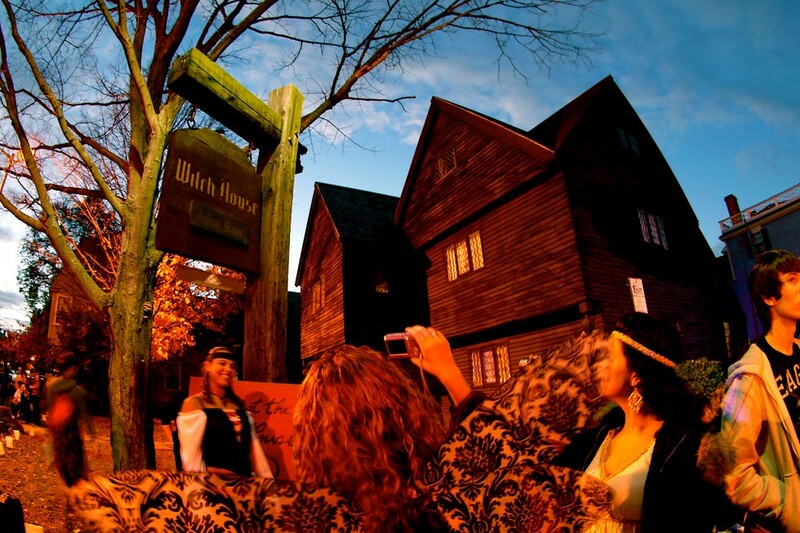 Famous for its 17th-century witch hunts, Salem has attracted fans of the macabre for generations. The seaside town celebrates Halloween in style, with events spread out across the entire month, starting with a massive parade in early October and ending with a fireworks display on Halloween night. There are also various carnival rides, paranormal tours, and other family-friendly events. Visitors can also participate in the festival of the dead, and attend the famous Witches’ Halloween Ball. New York City is always up for a party, especially during Halloween. There are countless parties and haunted events across the city, but perhaps not as well known as the Greenwich Village Halloween Parade. 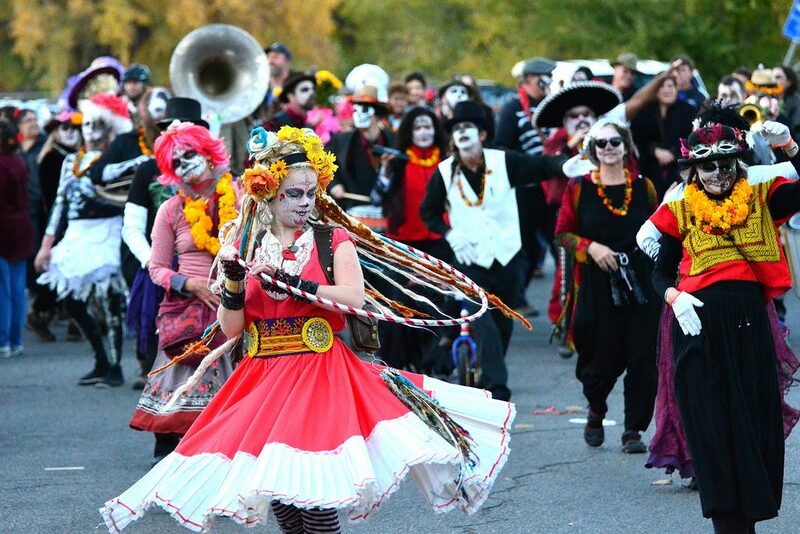 Starting at dusk, and continuing throughout the night, this parade was started in 1973 by mask maker Ralph Lee, and is now the largest Halloween celebration in the US. Over two million people flock the streets to celebrate in costume each year. 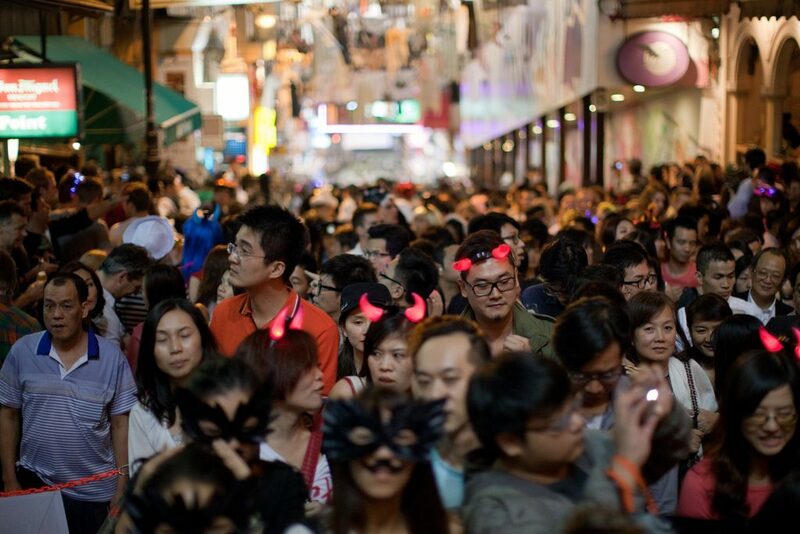 Hong Kong is known as the Halloween Capital of Asia. The city has truly embraced Halloween and everything that comes with it. Theme parks like Disneyland and Ocean Park are full of special events (such as the annual Halloween Bash), complete with festive costumes, food, and drink. 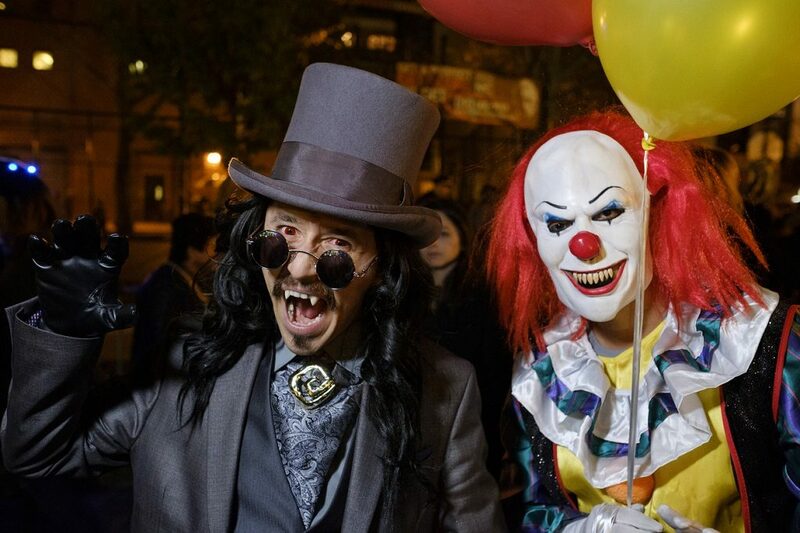 Also visit the Lan Kwai Fong Halloween Street Party, and the more traditional Hungry Ghost Festival (or Yue Lan) where people give gifts to spirits of the dead. So how do you plan to celebrate Halloween this year?